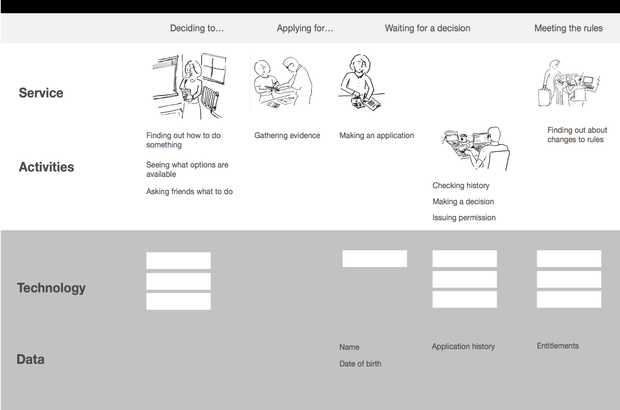 Kate Tarling talks about a list of services created by the Home Office, that it delivers, or delivers a part of, as external users would know them. 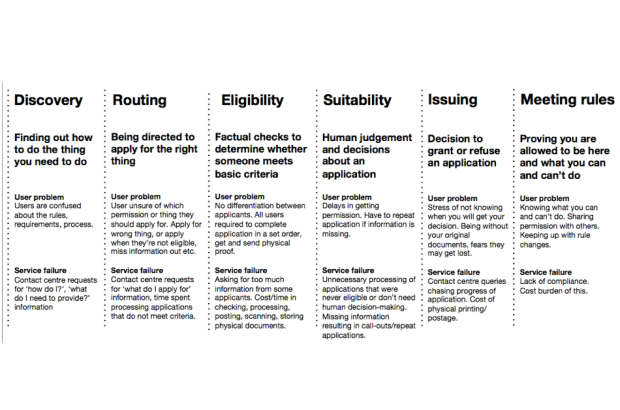 Where do service designers fit within an organisation? 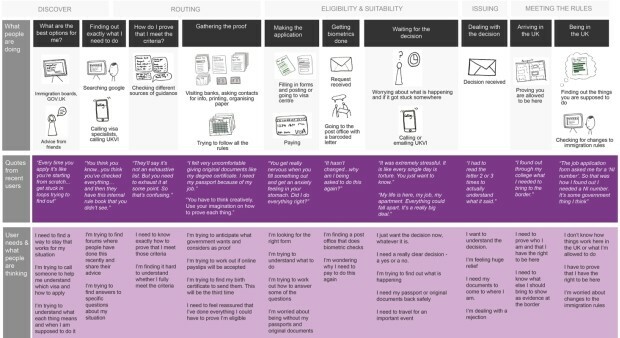 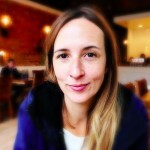 Kate Tarling explains how the Home Office is taking a federal view when it comes to setting out the different levels at which service designers work. 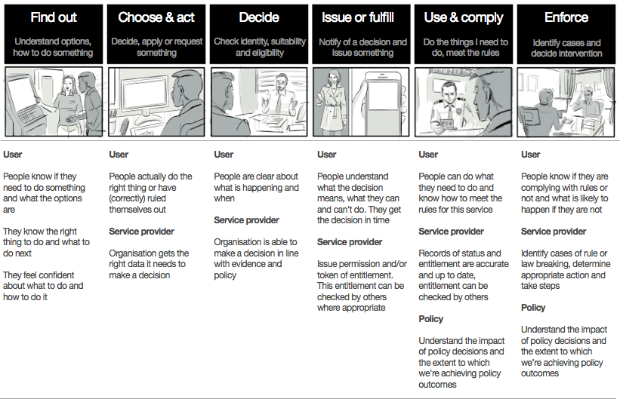 As we go about redesigning public services to be clearer, simpler and faster, we sometimes hear things like, ‘civil servants are users too.’ And of course they are. 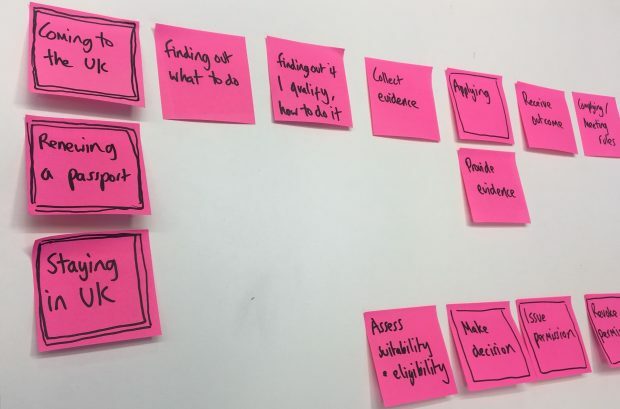 When we build teams to work on services, the individuals may have never worked together before, and may have different ways of describing their work. 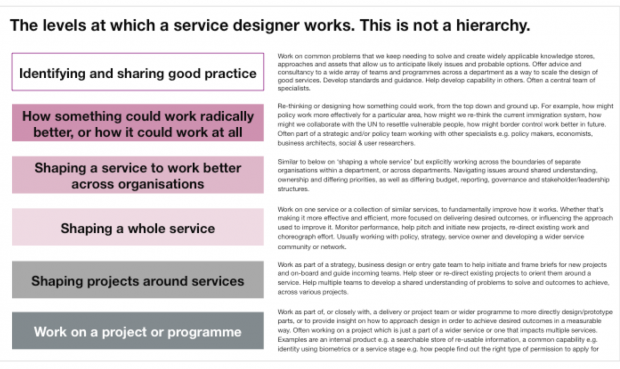 What do service designers do? 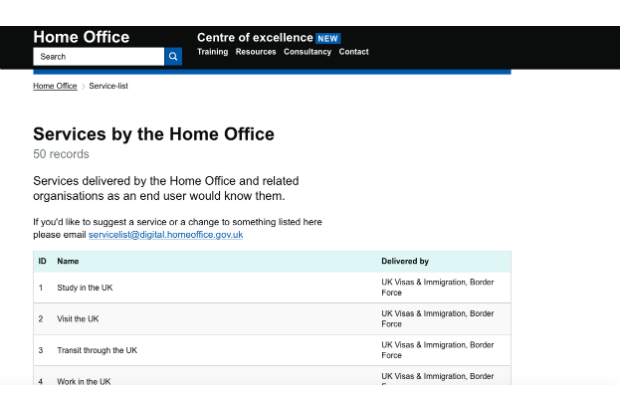 We work on some really important services at the Home Office: things like coming to the UK, staying in the UK or getting faster access to other countries as a British passport holder.